Who should consider a hepatitis B treatment? How do hepatitis B treatments work? How effective is the hepatitis B treatment? Is there anyone who shouldn't have hepatitis B treatment? Which medications are used in hepatitis B treatment? How much does hepatitis B treatment cost? Usually hepatitis B does not require treatment, only 1% of hepatitis B patients require treatment. Hepatitis B patients who are at risk for liver disease, have cirrhosis, and those with a weak immune system should consider treatment for a hepatitis B infection. There are two primary treatments for heaptitis B. The antiviral NRTIs (Nucleoside reverse transciptase inhibitors) slow or inhibit growth and reproduction of the hepatitis virus. Interferons, another form of treatment, connect to receptors on targeted cells, creating an action that instigates gene activation and thus slows viral reproduction. NRTIs are taken in pill form once per day for many years and until a doctor tell you to stop. Interferons are administered via injection once to several times per week for six months to a year or longer. NRTIs do not offer a complete cure, but they do help prevent further liver damage from being caused by the virus. Interferons provide a 20-25% cure rate and a 25-45% rate of changing the hepatitis B virus into a persistent rather than an active infection. 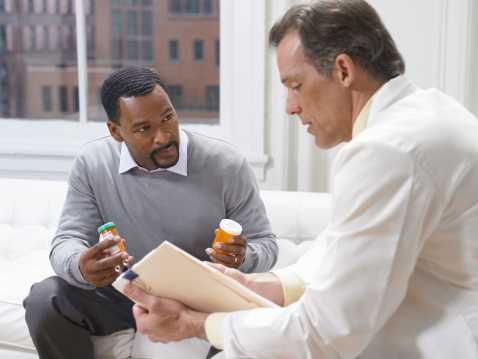 The effectiveness of the treatment can be lower in patients with HIV or chronic infections. Side effects caused by NRTIs are rare, when experienced, the may include abdominal pain, fever, weakness, sore throat, digestive disturbances, dizziness, and kidney problems. Interferon therapy side effects are common and include depression, headaches, and flu-like symptoms. Is there anyone who should not have the hepatitis B treatment? NRTIs are not recommended for patients with inactive diseases or for pregnant or nursing mothers, except in certain situations. Many conditions could complicate interferon treatment, such as: depression, mental instability, drug dependency, high blood pressure, heart attack, pneumonia, liver failure, rheumatoid arthritis, fungal infection, anemia, blood clotting disorders, decreased blood platelets, low white blood cell count, and more. Please speak with your doctor about any conditions you may have prior to initiating inteferon treatment. There are many products used to treat hepatitis B. Some examples of NRTIs are: aefovir(Hepsera), entecavir (Baraclude), lamivudine (Epivir), telbivudine (Tyzeka), and tenofovir (Viread). Common interferon treatments are interferon alfa-2a and pegylated interferon. Insurance sometimes covers the hepatitis B vaccine, especially for at-risk patients. Without insurance, estimated charges are $60-315 depending on on geographical location as well as consultation and administering fees. The fees for the combination vaccine Twinix® total approximately $330-$700.